S, a lovely repeat orderer got us to make this cake for her daughter's birthday. 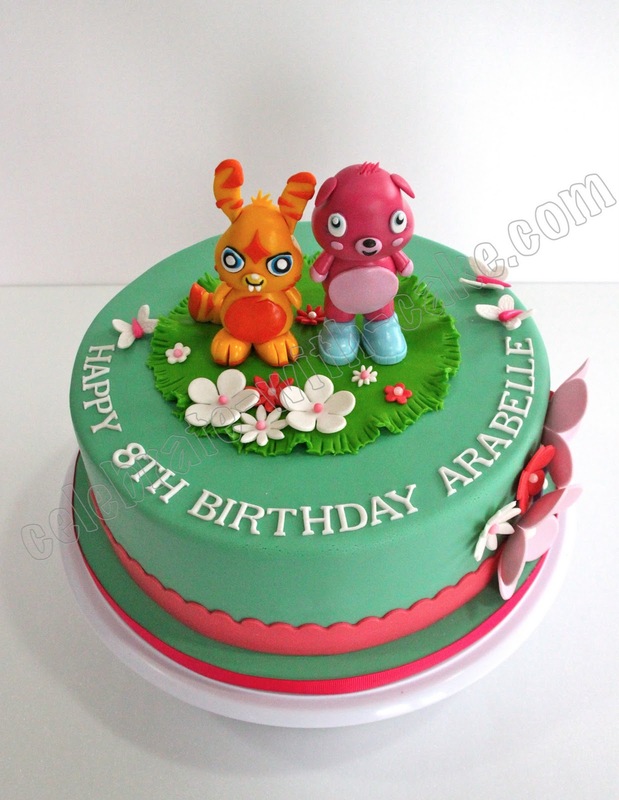 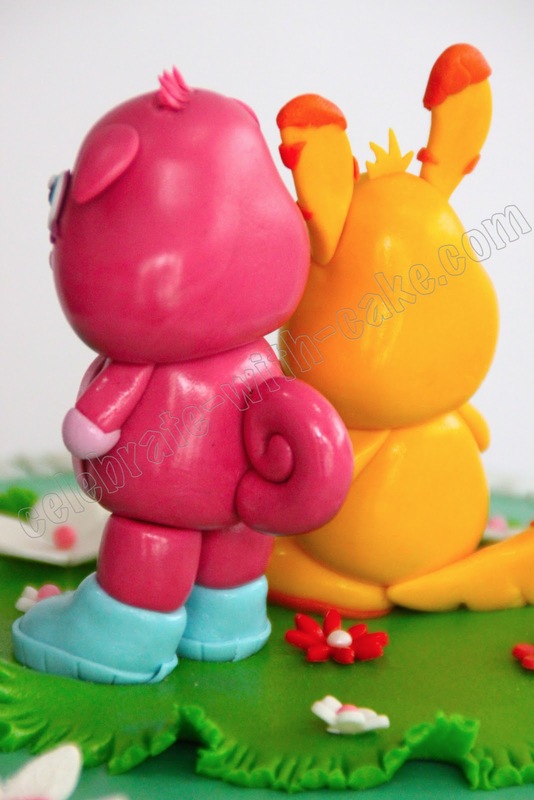 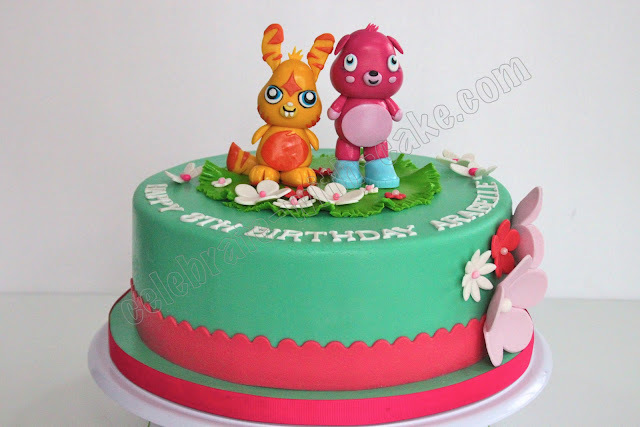 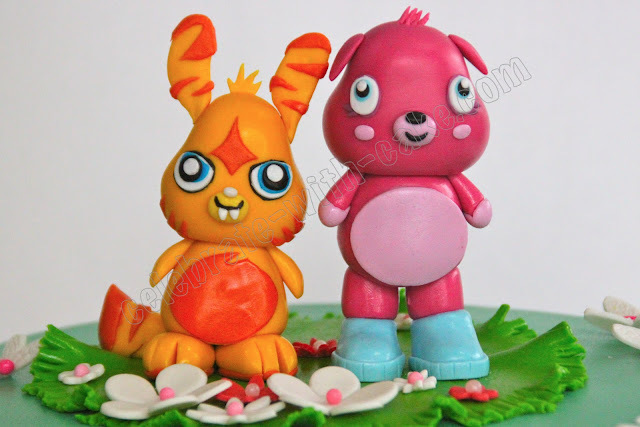 Birthday girl loves her Moshi Monsters, particularly Katsuma and Poppet, so we made her a cake with figurines of them! 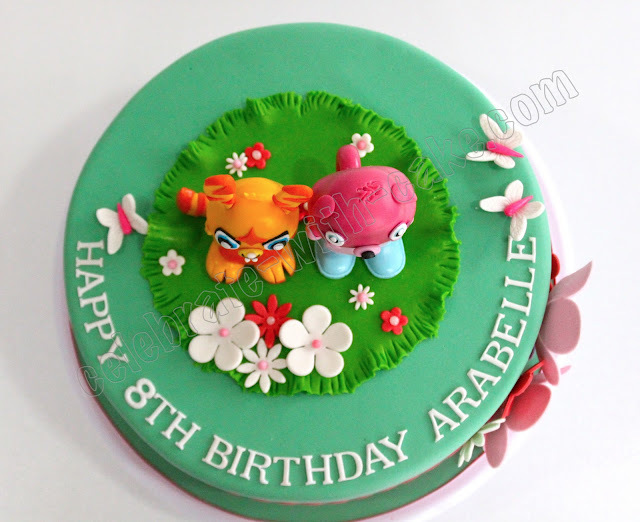 S, wanted a really simple cake that is not too fussy and with pastel colors as its base. 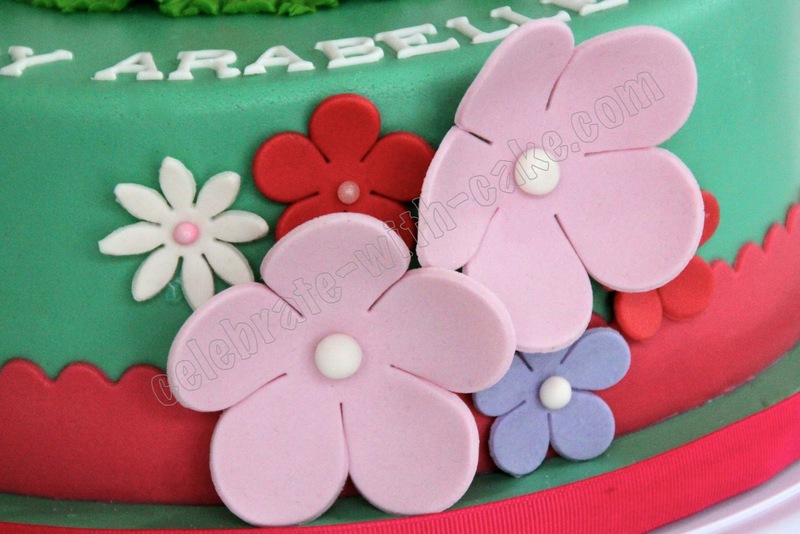 Thought this color combination turned out really pretty!